Acheson is k a freelance printer who prints editions of etching for various artists and print publishers in the New York area. She is nown for her vividly colored abstract etchings. She also does monoprints, viscosity painting, clay tiles, and paper marbling. She studied with Stanley William Hayter in Paris. Her works can be found in a number of corporate collections, including PepsiCo, IBM, and Aetna. She teaches at Silvermine. 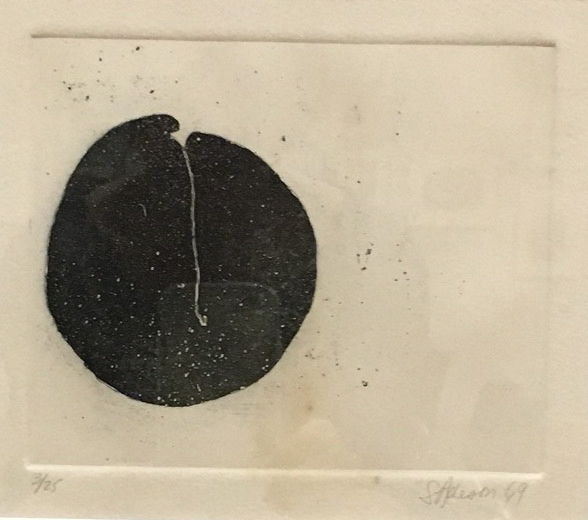 Acheson, Sophie, “Black Circle on White,” Westport Public Schools Digital Collections, accessed April 23, 2019, https://collections.westportps.org/items/show/501.